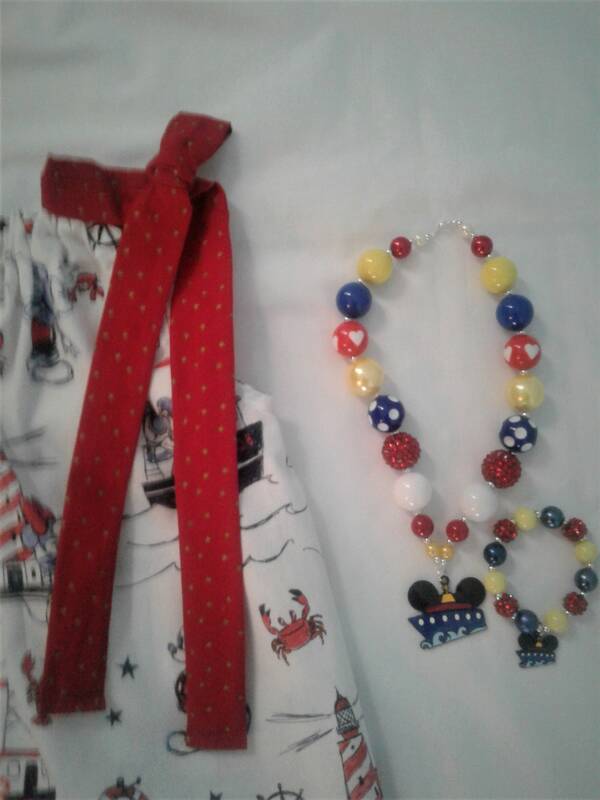 If your looking for The perfect accessory for your Disney Cruise I have it for you. 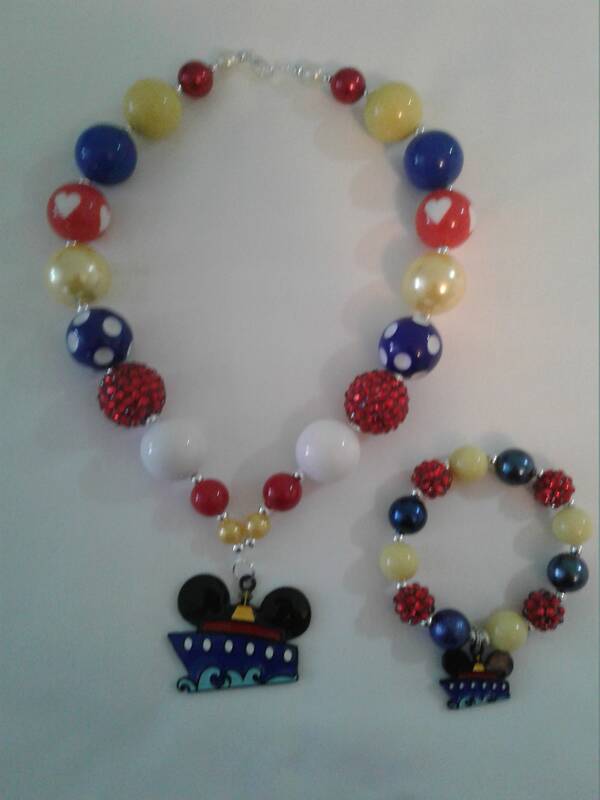 Matching Necklace and Bracelet made with a Disney Cruise line pendant. 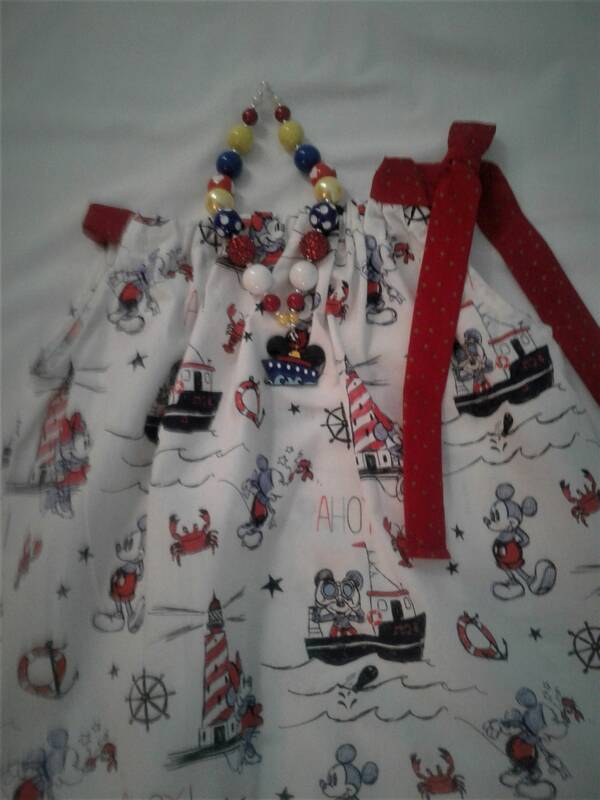 This is made to match my Disney cruise line dress for your little girls. Allof my necklaces are handmade in the USA in my SMOKE FREE studio. 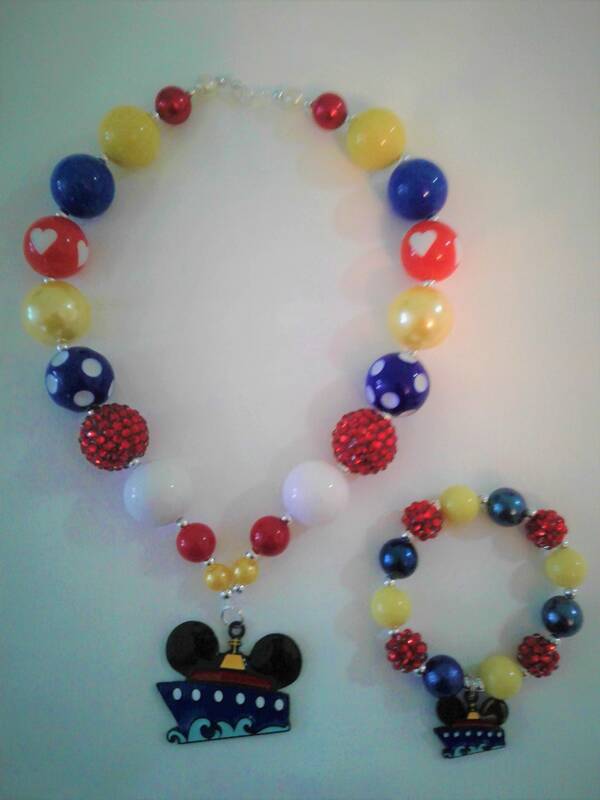 All necklaces are made from beading wire using a variety of rhinestone,colorful pearl and acrylic beads. The necklace is finished off with clasp and measures 17"
without pendant. 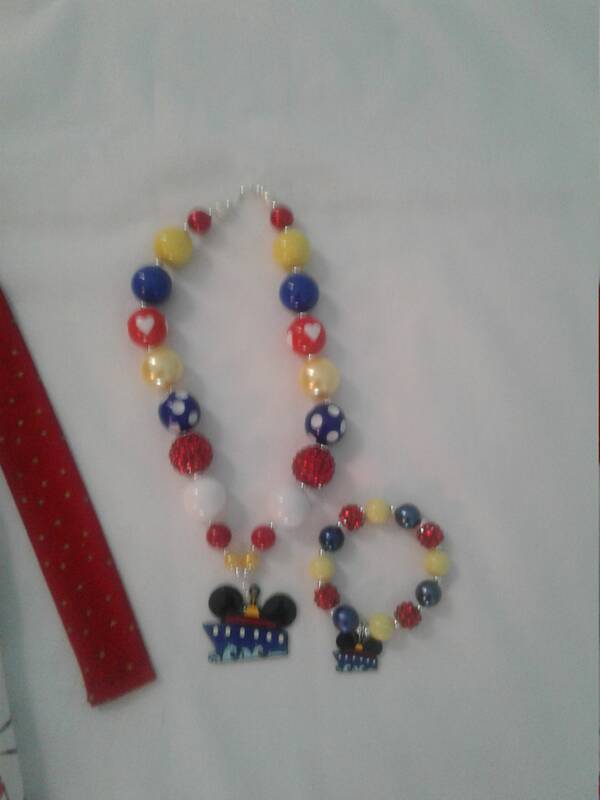 The bracelet is made with a heavy elastic and fits a girl age 3-6. 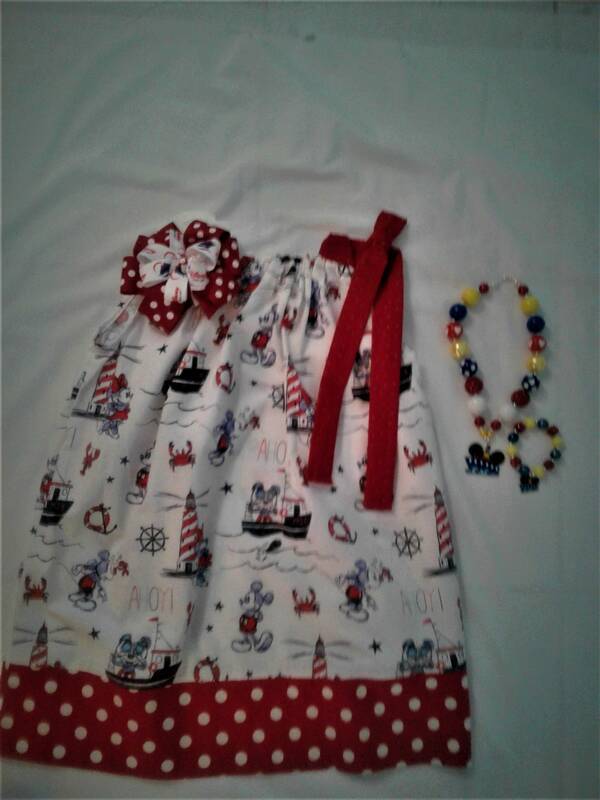 If you have any questions about color,style or want to have a special order made feel free to contact me. chocking/strangling/hazards and should always be handled with care.